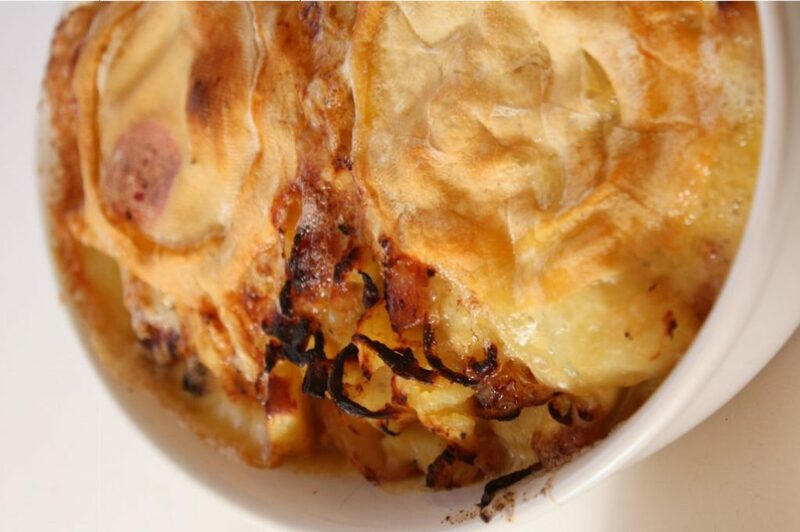 A tartiflette is a gratin with potatoes, lardons and onions topped with melted savoyard cheese called Reblochon. It is a traditional mountain recipe and a perfect dish for cold weather ! It is particularly nice served with an Apremont, savoie wine. 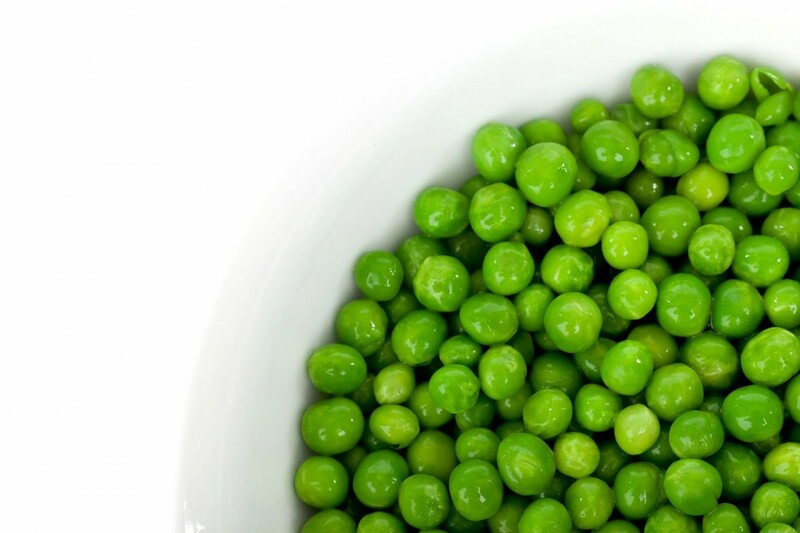 This is a really tasty soup and with peas, lardons and potatoes it really is a meal in itself. The only little hitch is that it is preferable to pass the soup through a mouli before serving to remove any pea skins and bits of lardon and to make sure you get a nice creamy smooth texture. Leeks are in season! 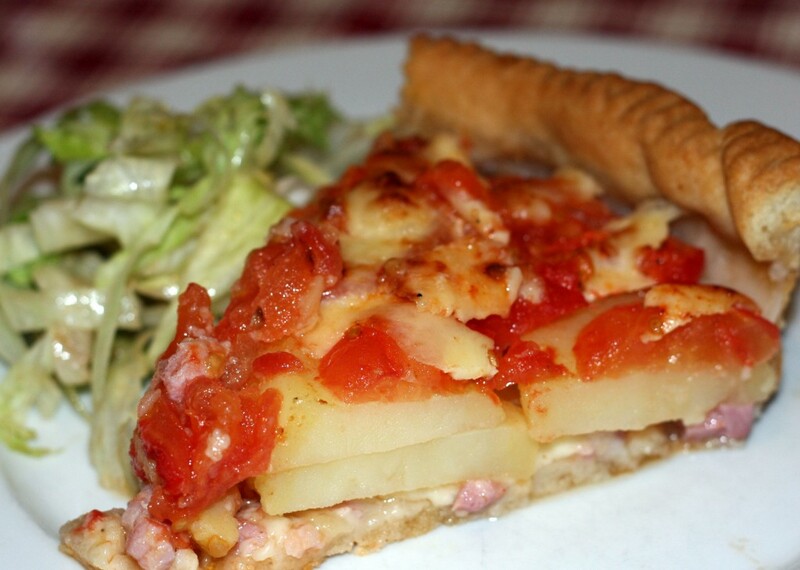 And this leek and potato tart makes a lovely evening meal or lunch with a green salad. I made it with lardons but it is also lovely with smoked salmon. Flammeküche is the Alsatian word for what is called a tarte flambée in french. 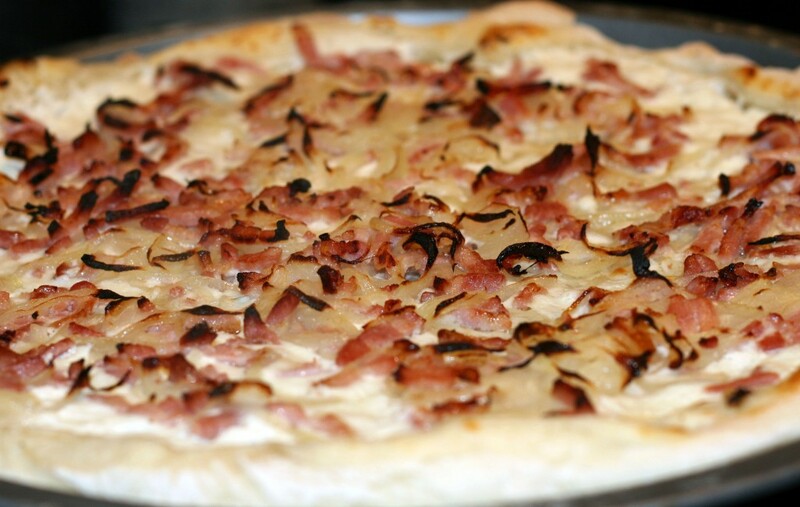 It has a thin bread dough base with crème fraîche, fromage blanc, onions and smoked lardons. This Alsatian street food is very easy to make at home and is perfect as a light evening meal with some salad, or as a finger food or starter. Auvergne is a region in south central France, home to the city of Clermont-Ferrand. 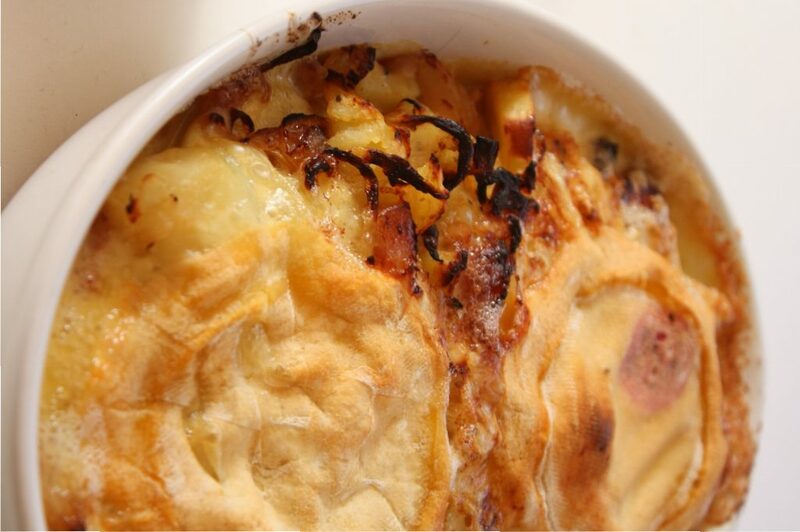 This recipe is from the region, hence the name, and uses the local Cantal cheese. 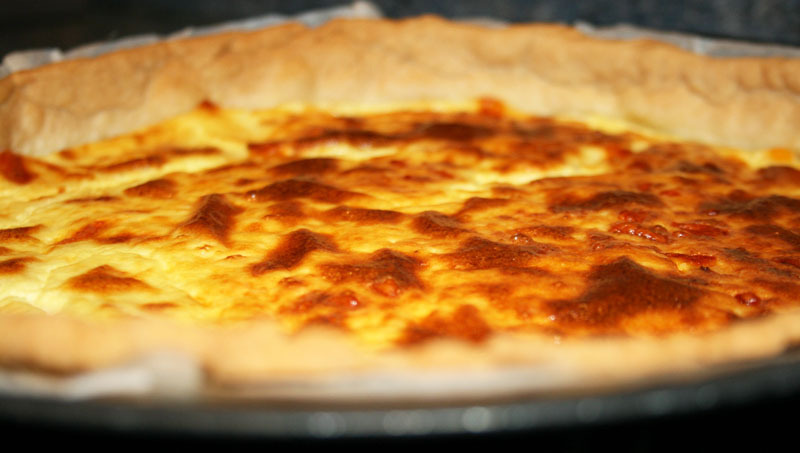 There are lots of quiche recipes but this is the original, traditional ‘quiche lorraine’ from the Lorraine region in eastern France which doesn’t include cheese! 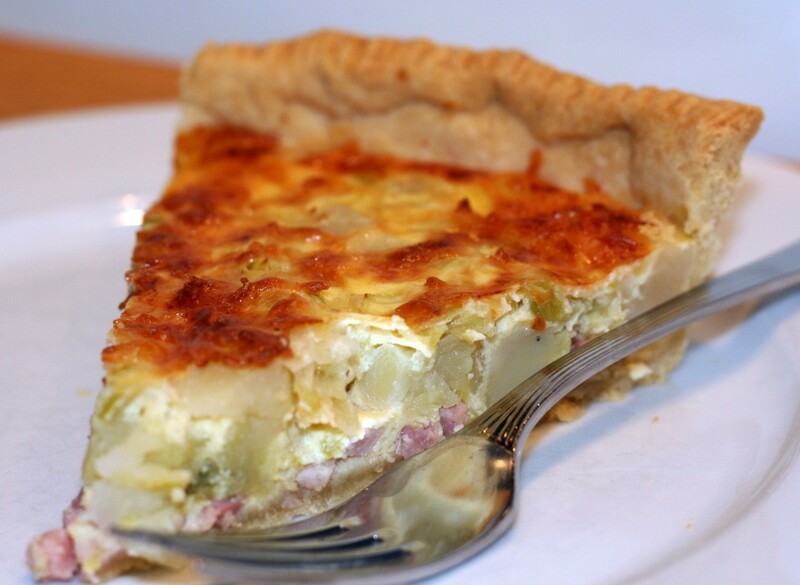 But once you have the basic quiche you can then add whatever you want : cheese, onions, leeks, courgettes etc depending on your tastes. It is perfect served warm with a side-salad.